Millennials have been stereotyped as both "entitled slackers" and "the next greatest generation." This study uses depth interviews to offer a scholarly and balanced account of young adults’ values and world-views. It investigates their views on a wide range of issues, including religion, the economy, politics, gender, ethnicity, and the digital technologies they’ve grown up with. 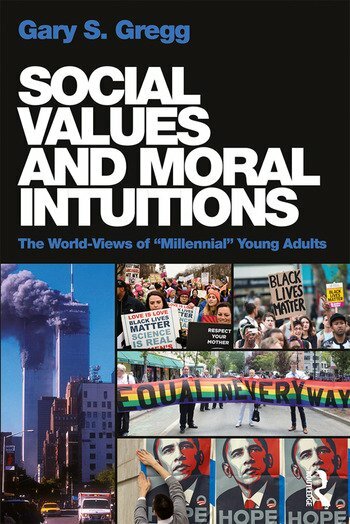 Based on the findings, it revises current theories about the psychological underpinnings of beliefs, especially about the "moral intuitions" that guide Millennials’ thinking. Examining the values they share and the distinctive views of individuals, this fascinating work will interest researchers and students in psychology and related social sciences. Gary S. Gregg is Parfet Professor of Psychology at Kalamazoo College in Michigan. He received his PhD in Personality Psychology from the University of Michigan in 1982, and has used life history interviews to study the identity development of young adults in the United States and in Arab-Muslim societies.